Janice Freeman - Gone too soon. RIP. 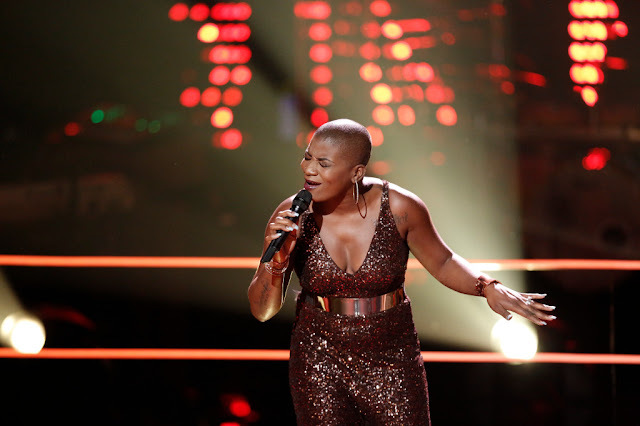 Most people by now are aware of the tragic news of the passing of 'The Voice' star, Janice Freeman (at just 33 years of age) at the beginning of March. The cause of death was an apparent blood clot. Janice was on "Team Miley" during her time on The Voice, and the two remained very close friends long after the show ended. Miley has been mourning the loss of her BFF on social media. I was never her coach, ever. She was always mine. A Celebration of Life was held for Janice on Monday (March 18th) at Mariners Church in Irvine. Miley was visibly shattered and broke down in tears while introducing her performance. She said, "I was never her coach, ever. She was always mine." Miley continued, "I've learned more from her than anyone that I've ever gotten the honor to be in the room with, not just vocally, I should've gotten more lessons than I did, but she taught me everything that I know about love... and, to be here, and I had planned on singing a song for her, but just losing her is just too much for me. So ... my dad's gonna take care of this for me. But, I'll always be your sister, I'm here for you, and I'm here for your family, and Janice I'll miss you more than I could ever say." Billy Ray Cyrus then took over and led the crowd with a hugely emotional rendition of "Amazing Grace" with Miley providing the harmonies.